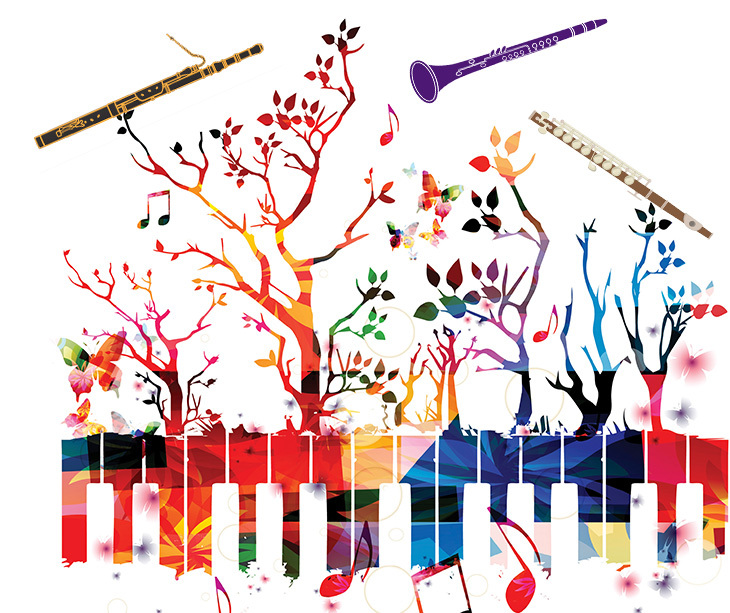 This program explores the virtuosity of woodwinds and piano and starts with a work Mozart deemed in a letter to his father "the best thing I have written so far in my life," the K. 452 Piano Quintet. The Trio, by Dutch-German Julius Röntgen, features an uncommon combination of sonorities - flute with two double reeds, the oboe, and bassoon. Written in 1876, the Rimsky-Korsakov Quintet for Piano and Winds shows the Russian master using various contrapuntal and coloristic techniques, along with luscious accompaniments, to develop characteristic melodies. The Players for this concert are Susan Rotholz, Diane Lesser, Philip Bashor, Mark Davies, Peter Reit, and Andrew Gordon. Our audience is invited to a wine and cheese reception with the musicians after the concert on Sunday and during intermission on Monday.